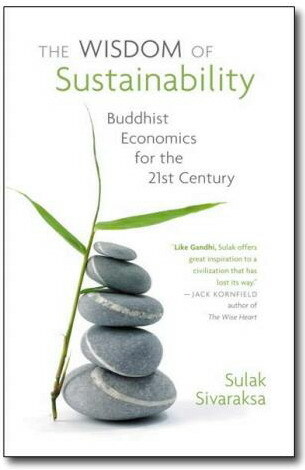 If David Cameron wishes to take fresh advice on how to increase happiness, now that the American psychologist who inspired his well-being index has admitted that the theory needs some adjustment, he might find it fruitful to study a new book by Sulak Sivaraksa. The 78-year-old Thai Buddhist, twice nominated for the Nobel Peace Prize and a winner of the Right Livelihood Award (considered the “alternative Nobel”), has been called “one of Asia’s leading social thinkers” by Burma’s Aung San Suu Kyi. It is possible, however, that if the Prime Minister were to leaf through The Wisdom of Sustainability: Buddhist Economics for the 21st Century, some of Sivaraksa’s conclusions might strike Cameron as a little strong. “Globalisation,” he writes, “is a demonic religion imposing materialistic values,” and “a new form of colonialism”. If Cameron is fond of the odd cola on the beach, he’d better stop. “To drink Coca-Cola or Pepsi-Cola in Siam is not just to ingest junk food, but to support exploitative values.” Economic crises such as those that hit the West in 2008 and East Asia a decade earlier are “heavenly messengers” to “encourage us to seek alternative” models ? as Sivaraksa told a no doubt startled James Wolfensohn, the former president of the World Bank. He also had to go into exile twice, when his forthrightness about the coups that occur frequently in his country led to threats on his life. “The first time was accidental,” he tells me in his leafy garden, which is a miraculous hidden oasis amid the concrete chaos of Bangkok. “I was in London, and found out from the newspaper that I had been arrested in absentia. They burnt all my books. They would have burnt me alive too, so, like a brave man, I stayed away. The second time, the coup leader was very angry with me. He would have done anything.” The School of Oriental and African Studies in London and Cornell University in New York provided a safe haven on each occasion. Sivaraksa’s view is that true happiness is not to be found in material gains or in the constant pursuit of unlimited growth, but starts with the search for inner calm. “You in the West have been indoctrinated by the Cartesian concept of thinking: I think, therefore I am. But the ego, the ‘I’ ? it’s not real. We are all inter-related.” His path is not “cogito ergo sum” but “I breathe, therefore I am”.